Ascend is a sophisticated admissions and enrollment software that focus on the people, not the paperwork. This fully integrated prospecting and admission software system is built-in with custom online applications, a prospecting toolkit, reporting and event management with advanced interfaces for interviewers and recruiters and many more customization tools. Data synchronization, automated billing feature, calendar integration and authentication makes this software more reliable to use. PowerVista RollCall is developed for large education organizations serving professional learners. It is very easy and simple to use RollCall. Apart from default and custom features, it is also flexible enough to meet your specific requirement. Multi user network system is also built-in this system that allows to connect to a central database of the institute and also track the data of students from anywhere and anytime. Use this software and enhance your professional reputation. AMP is another best all in one enrollment management software through which you can easily, seamlessly and manage the whole record of student from prospect to alumni. Easily turn complex data into official business format. AMP is equally useful for prospect, applicant, student, administrator and alumni. Pre knowledge of any technical software is not necessary because AMP is a very simple and user friendly software. Check comprehensive report and applicant data with just a few clicks. VIKSAT EduCare is the computerized solution of all your school administration problems as it is capable of managing every detail of an educational institute regarding student, fees, examination, transportation, accounts, inventory, library, visitors, etc. It is a customizable and user friendly software for small, medium and large schools. After having this software staff work load will be reduced and they will be able to do other most important task of the institute. MQSYS School Software is the product of MQSYS technologies. This software is designed for efficiently and effectively supporting the school administration. This powerful and affordable software will enable you to record the complete information about student. Have a look on the features: library management system, fledged fees management system to track of student fees, customized report generation, generate myriad types of reports and graphs and performs many other functions easily. Ellucian is another best student information system that is integrated with high features designed by the higher education expertise. It is the most popular software in U.S due to its easy access, essential features, speedy workflows and customizable features. Ellucian is useful for small and midsized institution to deliver big services efficiently and cost effectively across the campus from admissions process to keeping academic records and financial matters of the institute. PrincipleData is the simpler administration software to manage the record of students. Most of the admission software provides a platform to maintain he records of students while in addition to basic features, PrincipleData enables the schools to schedule the meeting with parents or guardians. No training or particular technical skills are required to used this software. Easily insert every information of the students and track it easily anytime with a click. Digital School is for paper less administration system that automates educational processes, administration and facilitates the collaboration among students, parents, teachers and administration to improve the efficiency of the school. It is a user friendly software that covers the basic requirements of any educational organization regarding student profiles, attendance record, academics performance, fee management, exam management, time table preparation, leave processing, hostel and library record. WISE school automation software is another best school administrative automation software solutions for all the problems regarding admissions and enrollments of students. It is a platform of comprehensive solution from initial inquiry to acceptance and enrollment level. 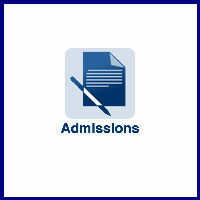 WIDE admission register software provides educational institutions with powerful features in keeping and tracking the details of past, present, alumni and future students.